Bricks are known for their durability, some of the oldest structures in existence are made from brick. But just because bricks are ultra durable, doesn’t mean you should ignore them. The trick to long lasting brick masonry that stays beautiful for years is to keep up with the appropriate maintenance. 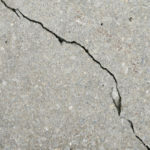 Checking for water damage and other signs of wear and tear. Checking to ensure your eavestrough isn’t over flowing and running down your brick wall. Completing necessary tuckpointing as quickly as possible. As long as you take care of problems as they arise, your brick masonry work is easy to maintain and should not be impacted structurally. Here we provide all you need to know about maintaining great looking brick year after year. For bricks that get little sunlight, and/or are close to wet vegetation, there is always the chance for bricks to grow mold, moss, or mildew. If you notice this happening, you can take care of the problem using products right in your laundry room. Mix together one-cup bleach and one gallon of water, and then use a bristle brush to scrub the area with your homemade solution. Do not use a wire brush, or else steel can rub off onto the brick causing it to rust or discolor. Before scrubbing, soak your bricks with water in order to help prevent them from absorbing the bleach. There are two ways that bricks become damaged by water alone. The first is if the brick rests in an area where water frequently rises to soak the bricks. If the mortar and bricks become overly soaked they will start to crack. Also, a tide line will become visible. This line represents a build up of salts left behind from rising water. Over time, salts eat away at the brick and mortar causing it to deteriorate. If you see the salt line on your brick, you can work to remove it by using a stiff but soft-bristled brush with a tri-sodium phosphate diluted with more parts warm water. You can use a hydrophobic sealer to protect your bricks against future efflorescence, or the white salty build up caused by chronic water damage. If your bricks are looking crumbly in places, or if holes and cracks are present, tuckpointing is necessary before structural problems have a chance to form. 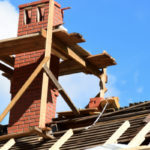 Tuckpointing, or repointing, includes removing the damaged portion of a brick or bricks, cleaning it out, prepping it, and then installing fresh mortar. This process restores bricks to their original strength and quality. 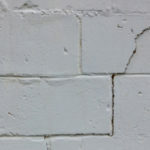 The key is to make sure that your fresh mortar matches your old mortar; otherwise it can look odd and not fit together properly, but more importantly it is absolutely crucial that you use the right mortar to match the structural properties found in your wall. That way the mortar moves at the same rate as the rest of the house or building. A professional can help you detect exactly which type of mortar you need for your re-pointing project. 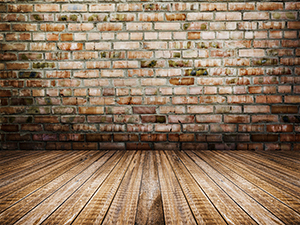 Bricks can look clean from a distance, but take a closer look and you might notice a lot of dirt and stains starting to set in. It’s important to clean your brickwork regularly. Bricks are durable but you must still be careful when cleaning them. There are certain cleaners that are much too harsh for bricks and can ruin the natural look of your brick. If chemical treatments are necessary, they have to be used very carefully and spot tested first to make sure that your wall can handle it. 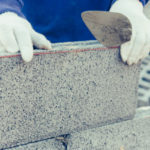 By keeping close tabs on your brick masonry, cleaning regularly and carefully, as well as conducting all necessary maintenance on time, your brick masonry work should last a lifetime, and then some. Although there is one exception, brickwork is only as great as its original construction. For quality brickwork made to withstand the test of time, contact the pros at Turnbull Masonry.